09-06-10 CHASE LOG: IA After flying in from KPIT for work, I had the rest of the day off and thought it would be decent enough set-up to try a relatively local chase. MaryLynn and I left Burnsville around 2:30pm and went south on I-35, targeting somewhere in the Mason City, IA area where I thought the best combination of low/deep layer shear, instability, and moisture would be in place. 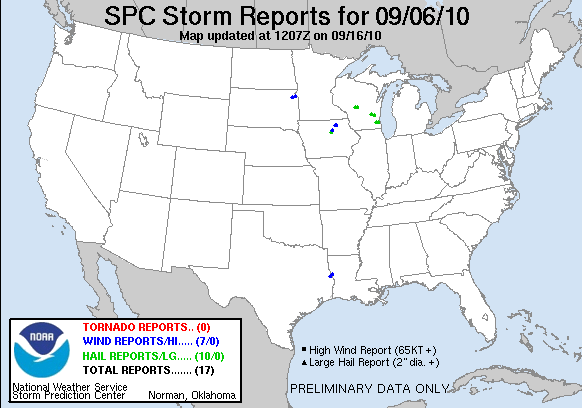 We ended up reevaluating things at the Albert Lea truck stop and storms started to fire on the cold front to the southwest of the area as a small area of clearing allowed things to destabilize. One, messy storm was near Emmetsburg, IA so we waited around until another, southern storm fired near Fort Dodge and looked a little better, having access to the better environment as well. We intercepted the storm a few miles west of Dows and it really did look decent for a short while with a nice lowering that was in the right spot underneath the updraft (see pics below). After this storm struggled to get its act together, we progressed north to another storm that was starting to look better and saw a messy lowering near Northwood, IA. Not really good enough to post any pictures though. Nice little chase day, overall, but thought it would turn out at least a little better. All of the cloud cover and elevated showers really held down the instability and the cold front was moving very fast so I think those were some of the main issues. Plus the tight, compact vorticity center was well to the north across central MN. Certainly this system did not lack wind shear! 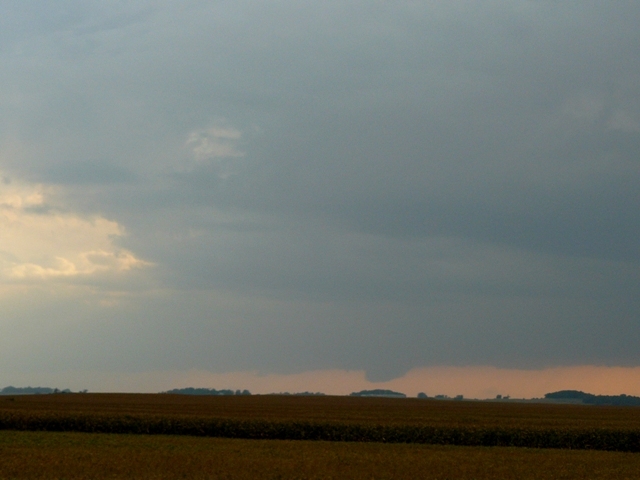 Storm when we first got on it near Dows, IA with noticeable lowering underneath the vault. 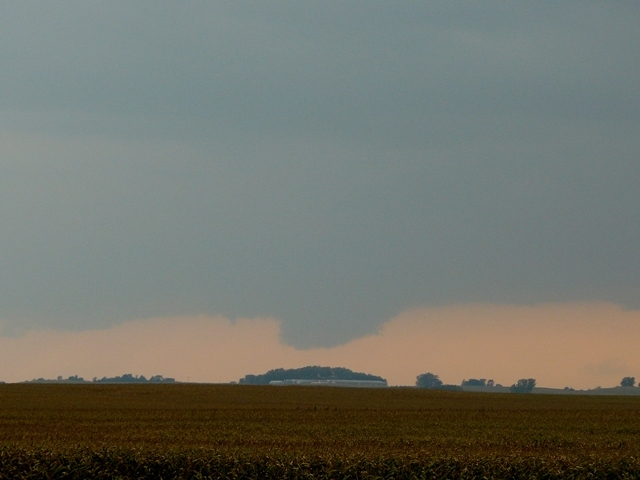 Lowering becoming more well defined and closer to the ground a few miles west of Dows, IA. Zoomed out view of the lowering underneath the storm. 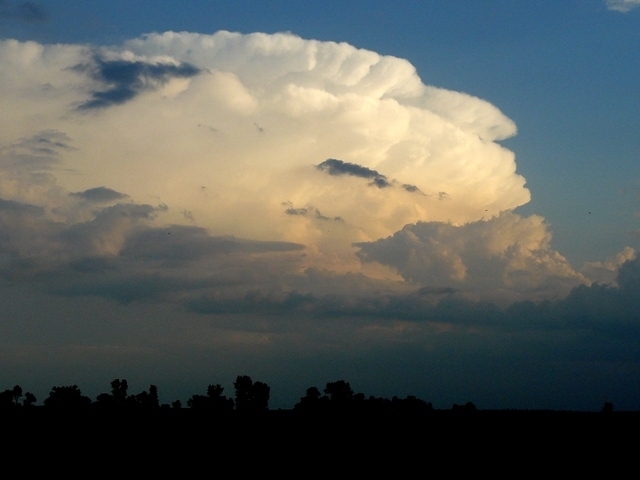 Beautiful view to our south of another storm near Ames, IA.